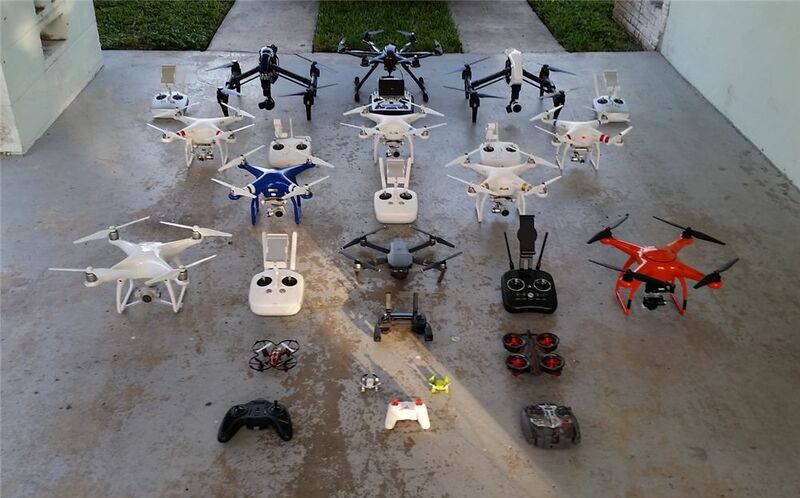 I was wondering how many other pilots have multiple drones? I have a P3 4K as well as my tello. Almost ashamed to say, P4 pro, Mavic pro, Mavic Air and Spark. Same line up as me. Do you ever wonder if any of them get jealous because they think you fly the others more than them? Yeah for sure!. Have wondered the exact samething! Mmmmm. Tough call. I would say, Mavic Air. Kind of depends on your end goal. Mine is photography and portability.. Spark is fun but Mavic Air literally fits in my pocket. ( becomes smaller than Spark). and its camera is really something. M.Air launches quick too. Spark is fin though. Hard call. I am new to drones and only have a Spark and Tello. Today was my first try in sport mode on the Spark and I was blown away. It would be nice if these two could surpass 20 minutes on one battery but otherwise I am happy. This pic is over a year old. Since then I have added another MP, P4P, MA, S1000 and a Tello. Yes they all still fly and have never been crashed. Guess I will have to pull them all back out for a updated photo shoot. Hmmm......no Spark. And you call yourself a DJI guy? I have a Mavic Pro P which I really like. I got the Tello for prompt launch for a quick photo, a view from a little higher. But I find the Tello fun and cute, just not very capable outdoors with even a slight breeze. So now I am considering adding a Spark for those quick throw-ups for a nice photo or higher view. Never had interest in the spark. I was over with WiFi after my P2V+. However, I also never wanted a P3S. Same reason. Then when DJI released The Mavic Air with enhanced New WiFi, Well, It’s tech is much like Light Bridge. A nice portable drone on the move. You got to love them for giving the eyes of a bird to us! No matter what platform. I am considering adding a Spark for those quick throw-ups for a nice photo or higher view. Wouldn't the Air be superior for that purpose? Between hubby and myself, three Mavic Pros -- two Alpine White and one Standard. Same here, but not ashamed at all. How do you like your Mavic Air? Good point. Forgot l have a P2. What l learned on. I remember the days of no monitor , at first anyway. And flying with a Gopro. OK I bit again and bought a second Tello. This one went to my Son in law. I'm hoping he gets the drone bug too. Also might be fun to program them to fly in sync. Two MPs and a Tello plus a wall hanger custom that will probably never fly. Thinking of a Spark or Air too but on the fence on those. Tello is real likable and already has more time on it than the Pros which are still in beginner mode as I like to take my time and do it right. Tello is very portable and quick to use plus no fear of flying illegal by mistake.